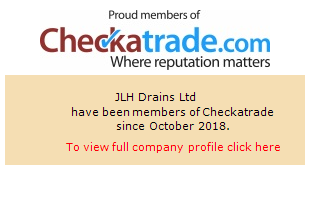 Blocked drain repairs in Maidstone, Kent by JLH Drains for domestic and commercial properties, baths, showers, sinks, toilets and pipes cleaned and unblocked. Providing drainage maintenance and repair services to homeowners and commercial businesses including restaurants, hotels, kitchens and letting agents, JLH Drains are your best choice for cost-effective and fast turnarounds in the Maidstone, Kent area. Working to the highest standards in safety and fully certified for street works and waterways access you’re guaranteed a comprehensive and effective result from JLH. Sometimes you can make a DIY repair of blocked toilets or sinks, if the obstruction is within easy reach, unfortunately, problems often develop much deeper in the pipes and drains themselves. Providing services to customers throughout Maidstone, Kent, JLH Drains have the expertise and technology to search out blockages anywhere in your drainage system, and most of the time we can remove them quickly, effectively and without expensive excavations. Providing expert drain repairs is all about investment in the best technology and training to offer your customer the widest range of services. At JLH Drains we specialise in innovative approaches such as CCTV inspections, no-excavation epoxy cracked pipe repairs and dye tracing as well as traditional drain relining, remote removal of tap roots and high pressure water cleaning. We guarantee the most cost effective solution every time for clients across Maidstone, Kent. Traditionally, any problem with drainage pipes meant expensive and time consuming excavations to tear out a cracked pipe and replace it, or even just to reconnect a pipe to a join which has come loose. At JLH Drains in Maidstone, Kent we invest in the latest technology to avoid all that fuss, combining CCTV equipment with remotely applied epoxy resins that seal up cracks and splits in drainage pipes leaving a smooth finish that’s tougher than the original pipework! Looking for Drain CCTV Surveys in Maidstone, Kent? CCTV inspections and surveys of drains and pipes have become a critical tool for drainage maintenance and repair, and are increasingly a requirement for insurance companies if you want to claim on your buildings insurance for any works carried out. We’ve provided survey reports from across Maidstone, Kent for all of the major insurance companies providing a full video and written report to detail the nature of the problem and the best approach for repairing it. Looking for Drain Excavation in Maidstone, Kent? Sometimes excavation is the only way a drain repair can be carried out; a pipe may be damaged beyond the capabilities of re-lining and need replacement, or it may need re-benching or repairs to the structure holding it in place. Working for domestic homeowners and businesses across Maidstone, Kent we make quick work of excavations utilising tools like sonar and CCTV surveys to fault find quickly an minimise the amount of digging that has to be done.